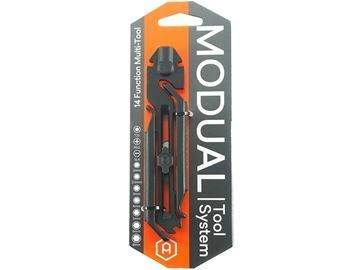 The award-winning Modual range consists of an innovative bicycle multi-tool that is comprehensive enough for use at home yet compact enough for the road. 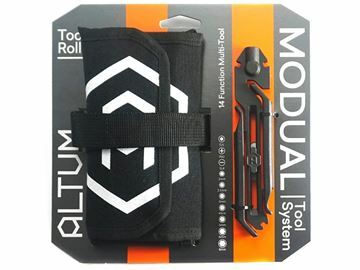 A portable yet powerful alternative to conventional folding bike tools. 1/8” chain breaker for track and fixed gear applications. 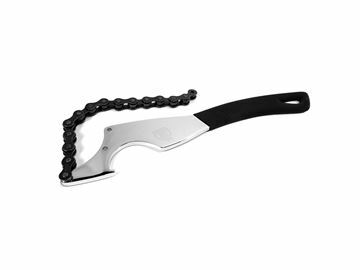 This 1/8” chain breaker works as well as the Park Tools CT2 but doesn’t cost the earth. 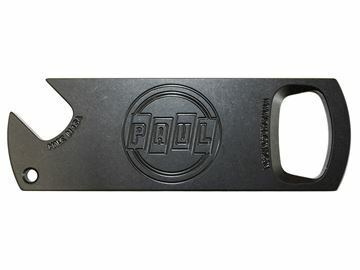 The burly handle along with over sized head ensures this tool will break even the burliest BMX chains without you breaking a sweat. Tough enough for the use in even the busiest workshops and affordable enough to be found in the bottom of every cyclists back pack. Features replaceable pins. 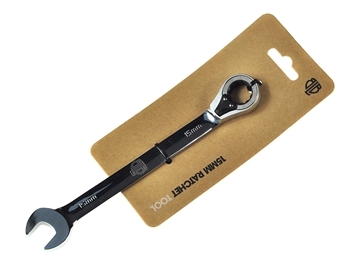 We wanted our 15mm spanner to be simple; it doesn’t need a bottle opener on it or a fold out chain tool, it just needs to work really well. We've added a dual-directional 15mm Socket Wrench (ratchet spanner) to the other end, so as you don’t round your nuts off. Its also long enough to give you plenty of leverage and small enough to tuck away in a pocket. What more could you want? 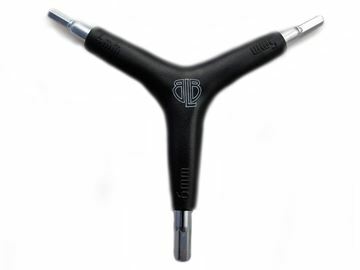 4 Pin freewheel remover for use with BLB Royal ED freewheels. 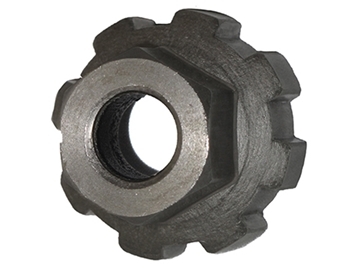 The 4 pin design provides additional purchase making the removal of freewheels easier, even when they are stuck fast. Perfect for BLB Royal ED freewheels and will work with most other freewheels (including Shimano). Because you never know for sure what’s waiting round the next corner, it pays to go prepared. 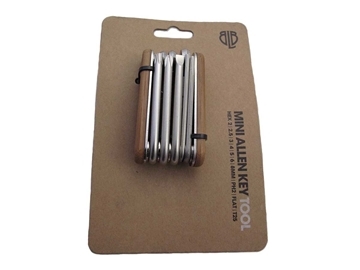 Small enough for a jersey pocket, attractive enough for mantle piece display the BLB Mini Allen Key Set combines form with function to deliver one of the most useful tools you will ever own. Pro BB wrench for Shimano cartridge bb socket. Long arm for good leverage and torque, anti-slip grip design. Perfect for any workshop or home mechanic. 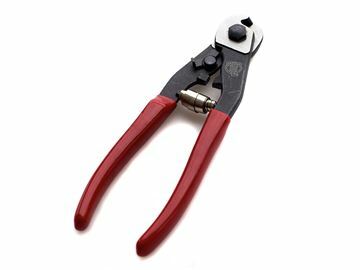 Durable, workshop quality cable cutters. Essential tool for any bike shop or home mechanic. 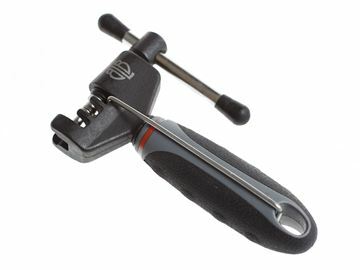 The BLB Cassette Remover is designed to remove Shimano HG cassettes with a supporting centre pin. 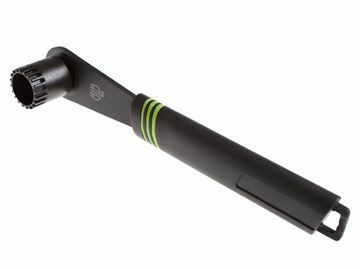 Its ergonomic handle and durable construction produce leverage and a long lasting tool for your kit. Perfect for any workshop or home mechanic. Mandatory tool for any chainring installation. 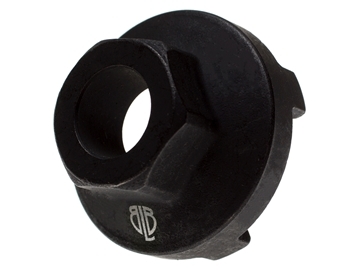 Perfect fit for all standard and BLB chainring bolts. 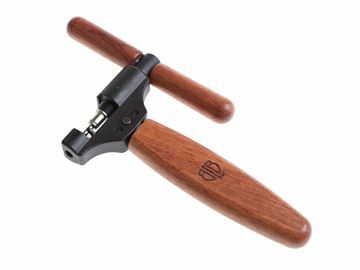 Workshop quality, heavy duty crank puller tool and 14mm wrench – with this handy tool we’ve got you covered! Designed for Hollowtech II outboard bottom brackets. 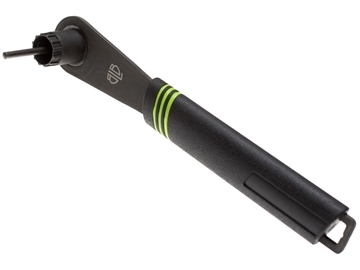 Features a compression cap remover which fixes onto the main tool to prevent loss. Long arm for good leverage and torque, anti-slip grip design. Perfect for any workshop or home mechanic. 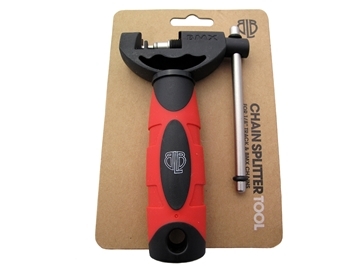 A perfect addition to any tool kit, this pocket sized lockring and chain whip tool is small enough to fit in a saddle bag and large enough to remove even the tightest cog. High polished finish with laser cut BLB logo. 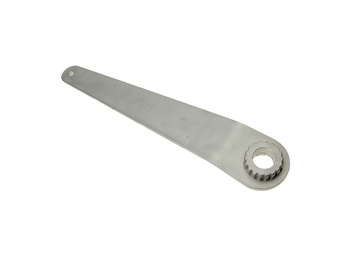 Our elegant yet heavy duty wooden handled pedal wrench with additional 15mm and 14mm sockets. Heavily tested, used and abused by our in-house Brick Lane Bikes mechanics. Workshop quality chain whip and lockring tool at home mechanic prices. The extra long arm and heavy duty construction ensures you will be able to remove even the most seized on sprockets. 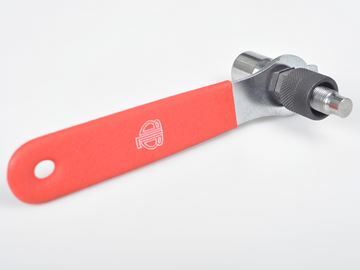 Highly durable, this is one tool you won’t need to replace. Mini pocket chain splitter for 6-10 speed chain, double driven pin and retainer for exchange and repair. Small device with superb grip and power. 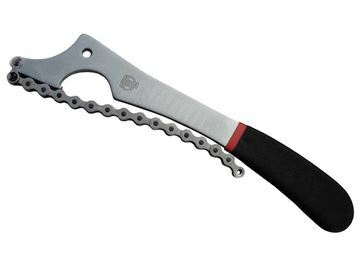 Smooth and slick 7-11 speed road chain splitter with rose wooden handles and a built in bottle opener. Include double driving pin for exchange and repair. Simple, affordable and reliable Hex Key tool. BLB Y tool suites both workshop and home use. 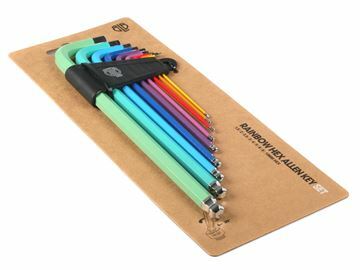 Featuring 4, 5 and 6mm Hex Keys. There’s a bottle opener on one end, a 15mm brake spring adjuster on the other, and 56g of cool 6061 aluminium in between. 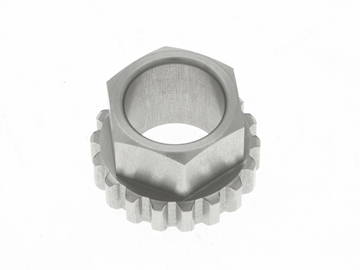 The lockring wrench works with almost all lockrings. 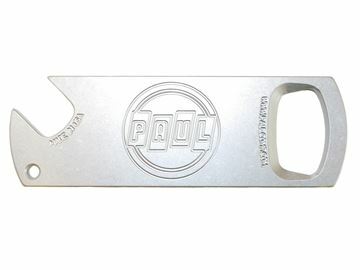 Paul Components wrench will even fit rings with odd numbers of slots (just remove one tooth). The handle is long and fits the hand nicely. 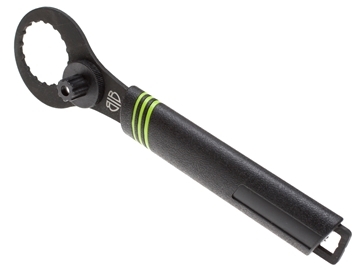 Portable square taper bottom bracket cup installation tool which requires using a 22mm closed end wrench to use. 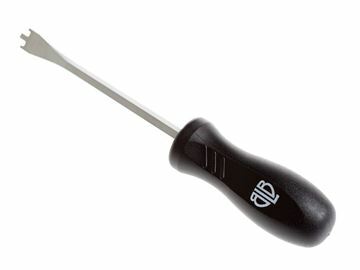 This tool is unchanged since its original release by us is in 1971. One recommended for British Cups and two required for Italian Cups. 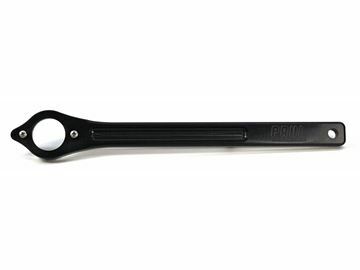 Phil Wood's professional bottom bracket wrench. 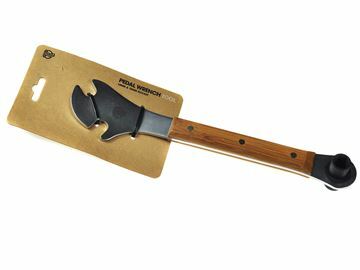 Same high quality built, but with a handle for better leverage.